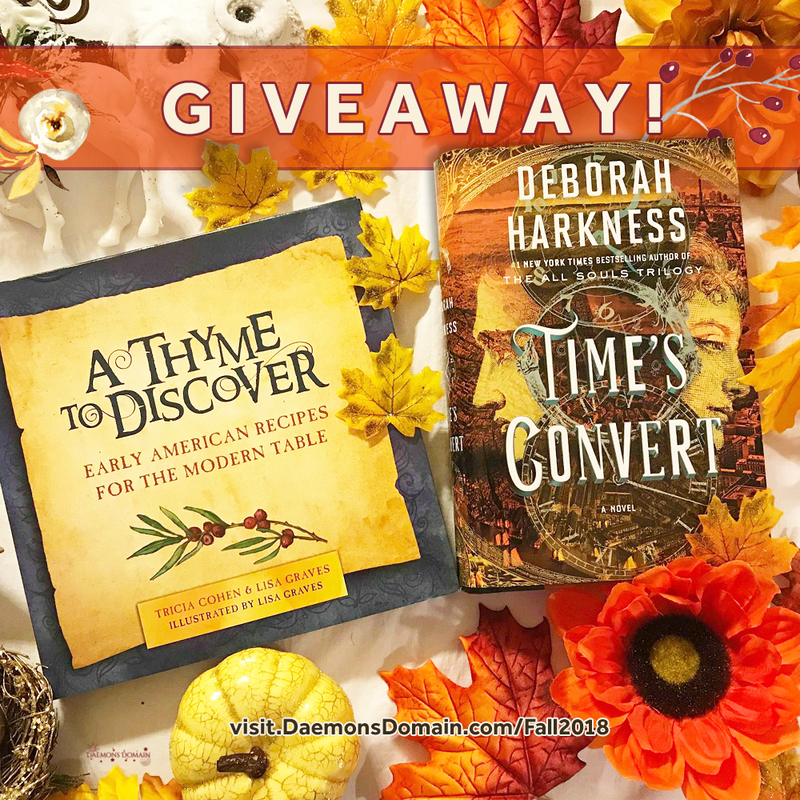 Daemons Domain - All Souls Trilogy & Universe Fan Site + Podcast: Fall 2018 Giveaway! We'll find any excuse for a good giveaway! 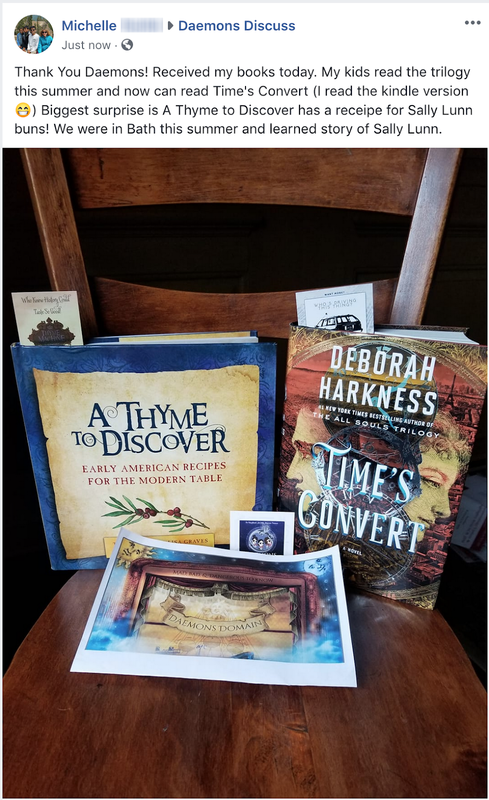 A Thyme to Discover -- Here's the write-up on A Thyme to Discover: Revive your inner pilgrim and master the art of colonial cooking with sixty recipes celebrating America's earliest days! * The First Thanksgiving, 1621: "Venison over Wild Rice Cakes" and "Pumpkin Pudding with Rum Sauce" *Alexander Hamilton's "Beef Stew with Apple Brandy" and Abraham Lincoln's "Chicken Fricasee" * Rhode Island's "Bacon-Kissed Clam Cakes" and Massachusett's "Chowdahhhhh" * Forefather's Day, 1749: "Sufferin' Succcotash with Buttered Lobster" * Jim Beam's "Bourbon Oatmeal Raisin Cookies"
And, yes! We're throwing in a 1st edition US hardcover of Time's Convert, too! UPDATE - 10 Dec 2018: Congratulations, Michelle!